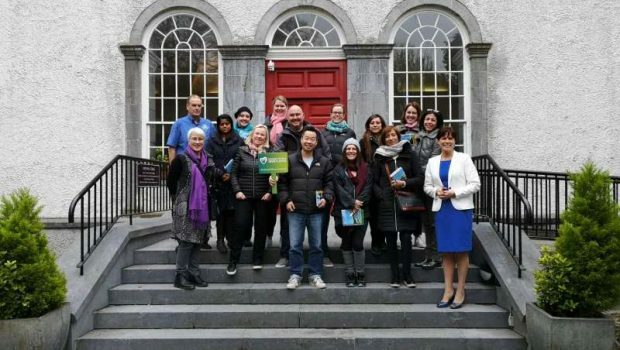 A group of Tour Operators from Canada, America and various countries in Europe visited the general Boyle area on Monday morning to see what the area has to offer from a tourism perspective. 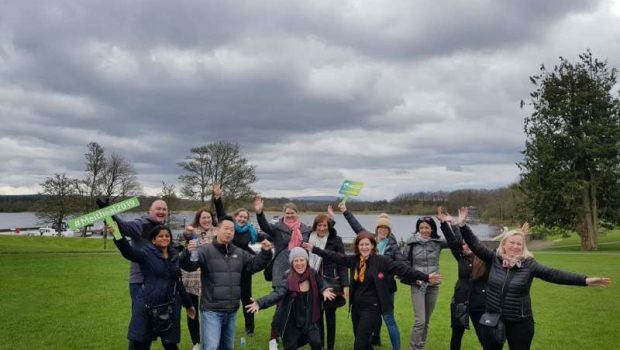 The group were part visiting the Wild Atlantic Way and Ireland’s Hidden Heartland as they made their way to ‘Meitheal’ which will take place in Dublin this week. Meitheal is Fáilte Ireland’s largest in-Ireland event hosted annually with over 400 international buyers exploring the very best Ireland has to offer. The group were met in Boyle by Eimear Dowd, Tourism Officer for County Roscommon who briefly outlined all the county has to offer. Sabrina Brady from Una Bhan Tourism then addressed the gathering explaining the work that Una Bhan Tourism undertake. 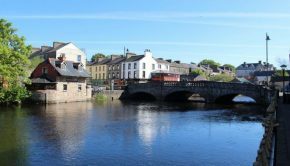 Sabrina also highlight the region as a distinct, unique, authentic and off the beaten track destination for visitors to Ireland, offering affordable accommodation which is also ideal as a base point to visit Sligo, Mayo, Galway etc. 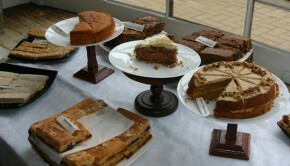 Members of the group remarked on the relaxed and authentic Irish experience this region offers. 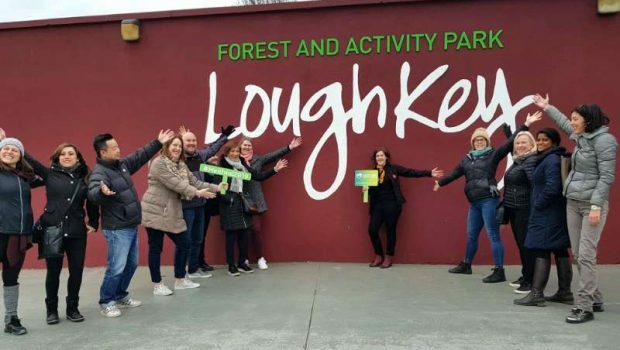 The group then visited the Craft Shop in the grounds of King House before departing for Boyle Abbey and Lough Key Forest Park.